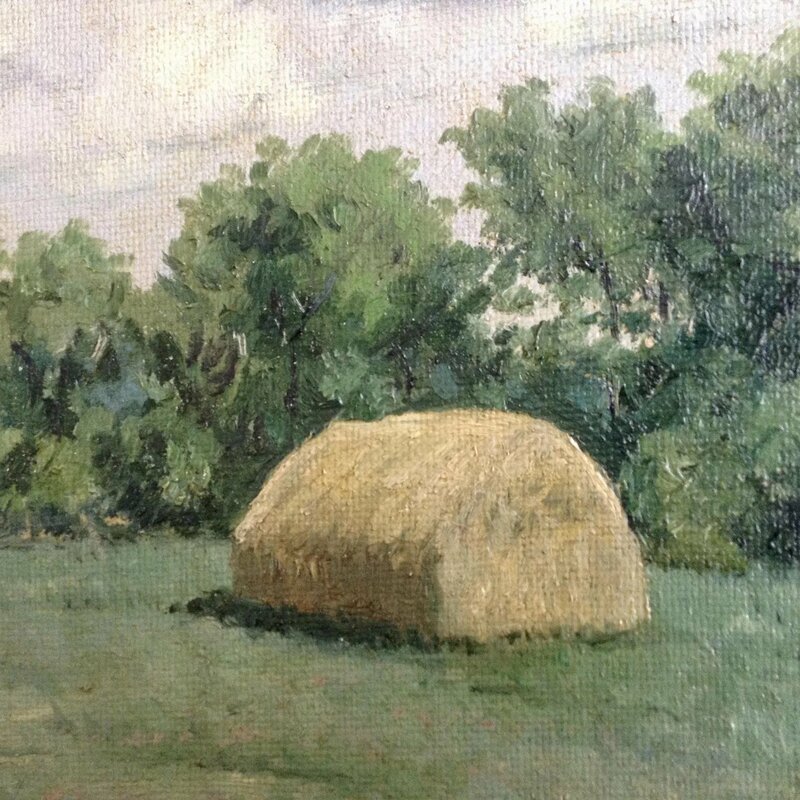 A large mound of hay sits in a green field. 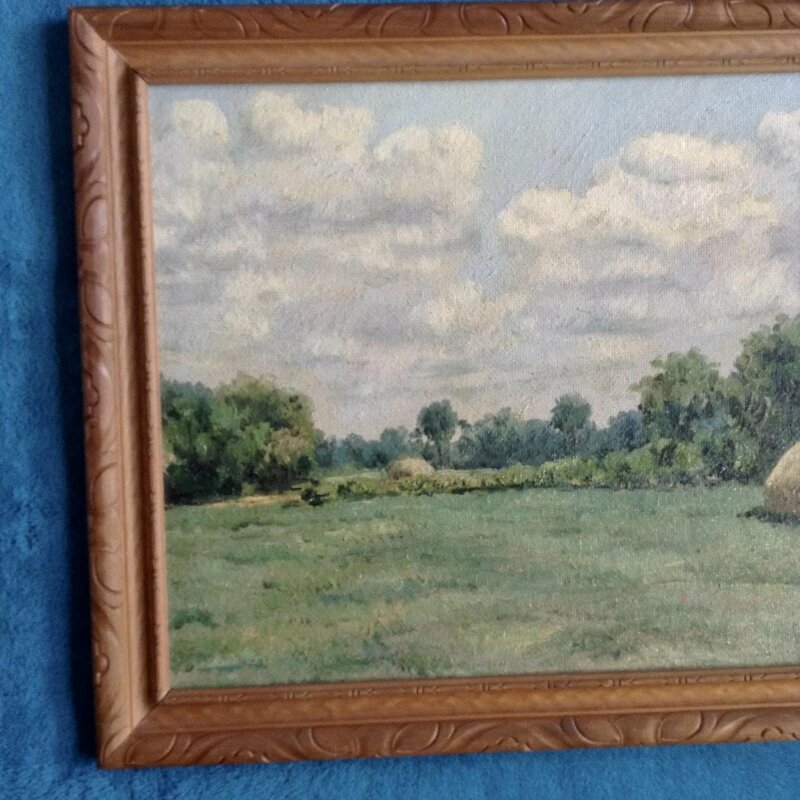 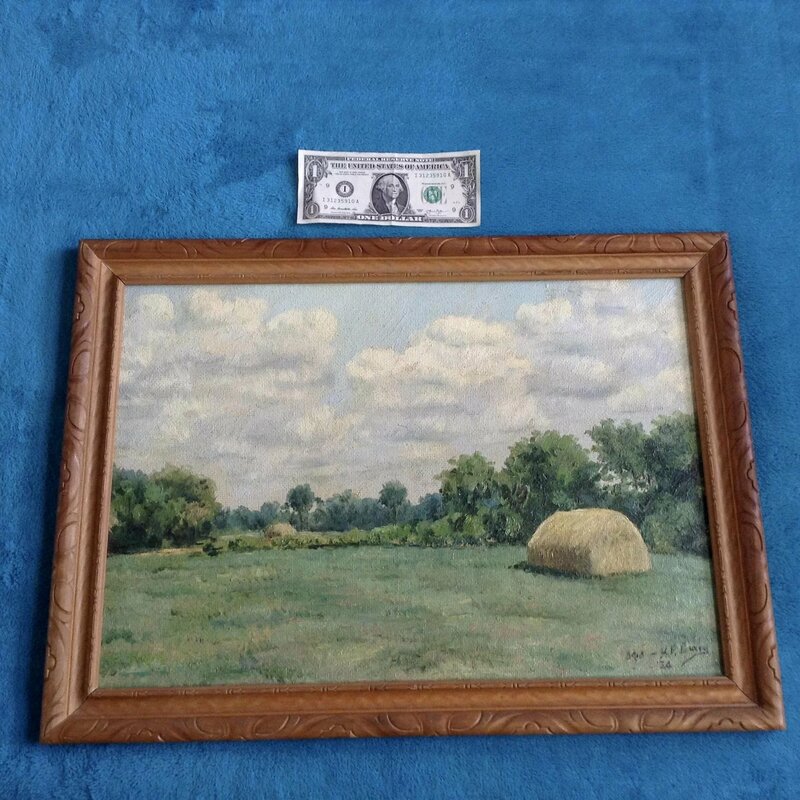 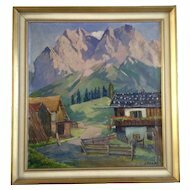 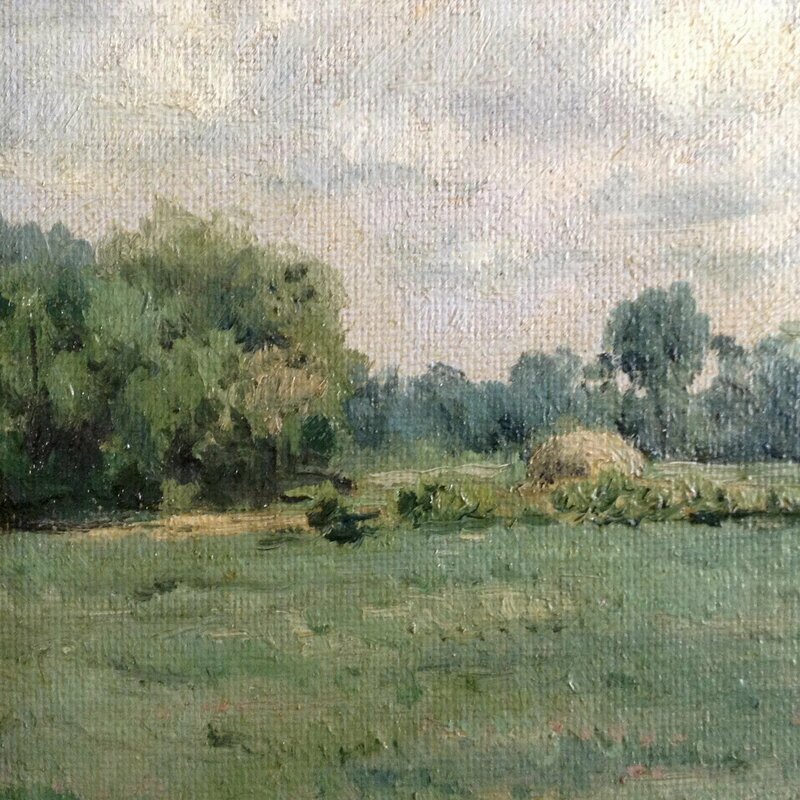 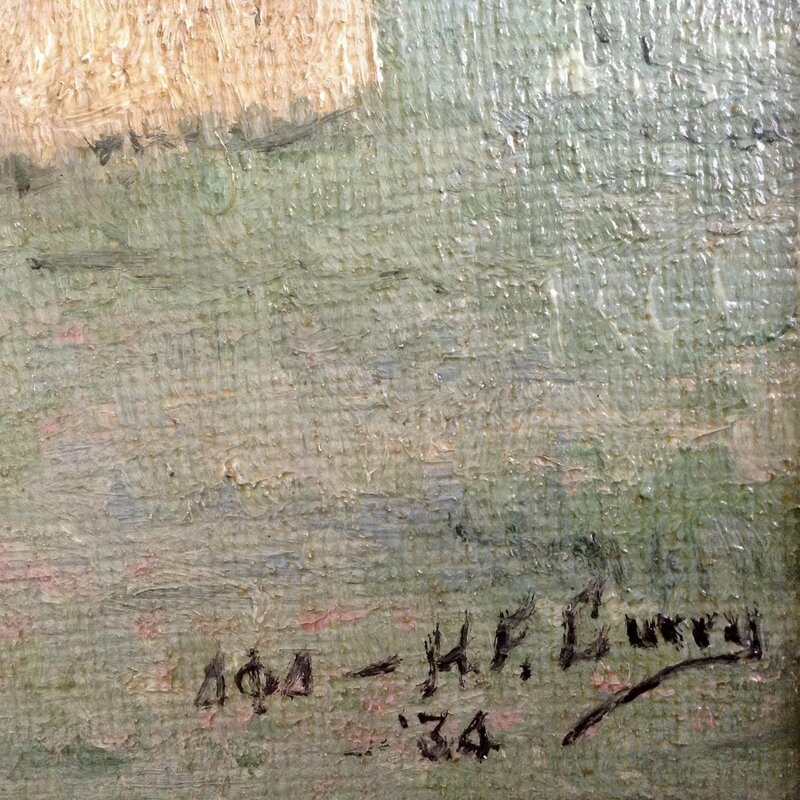 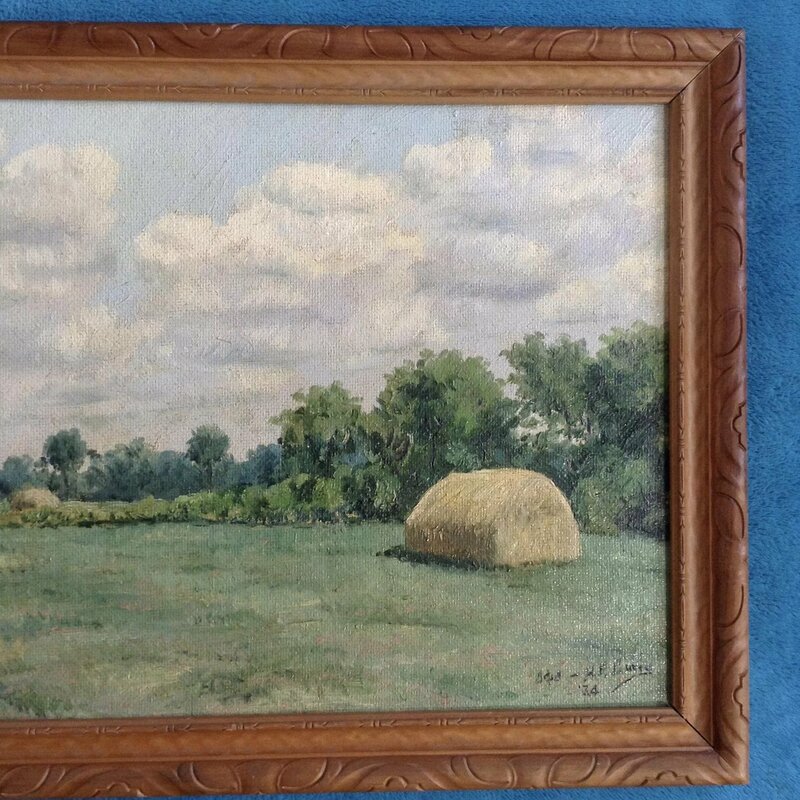 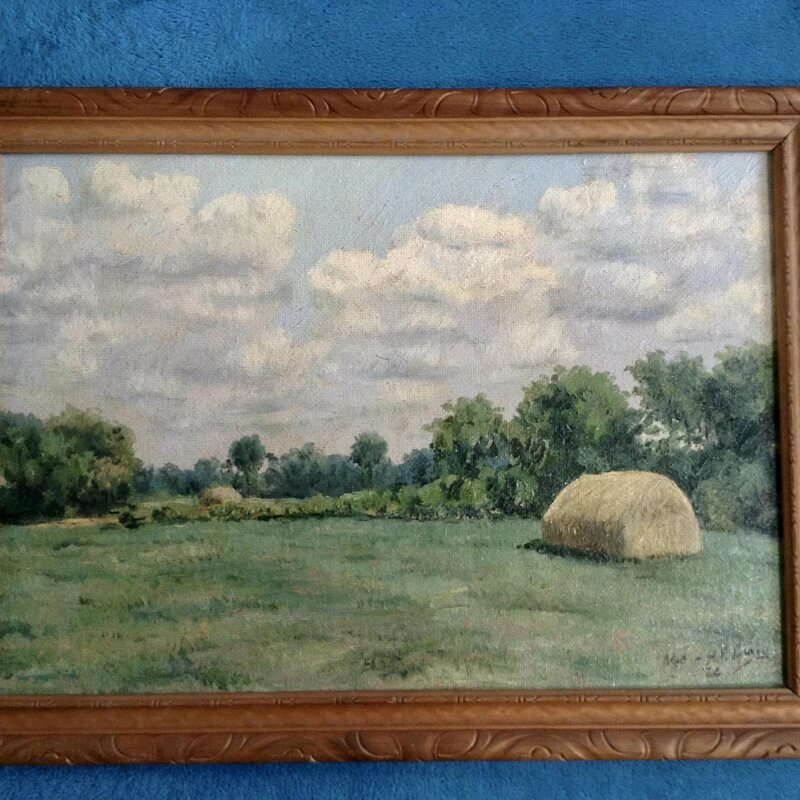 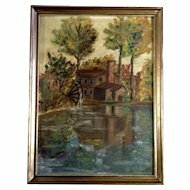 This original oil painting is signed lower right, H. F. Curry ’34. 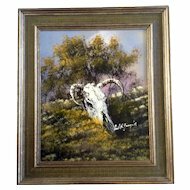 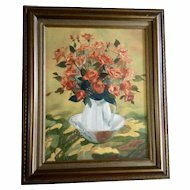 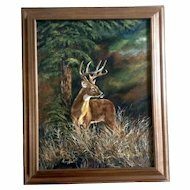 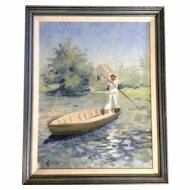 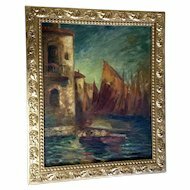 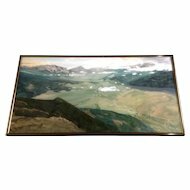 The oil painting on canvas board is in great condition. 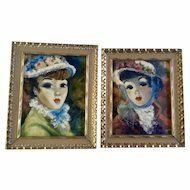 The European painting measures 12-3/4 inches tall and 18-1/2 inches wide. 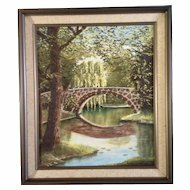 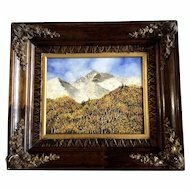 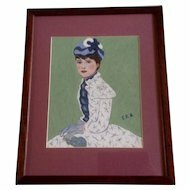 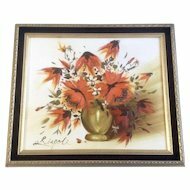 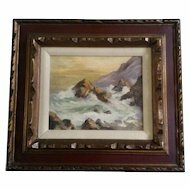 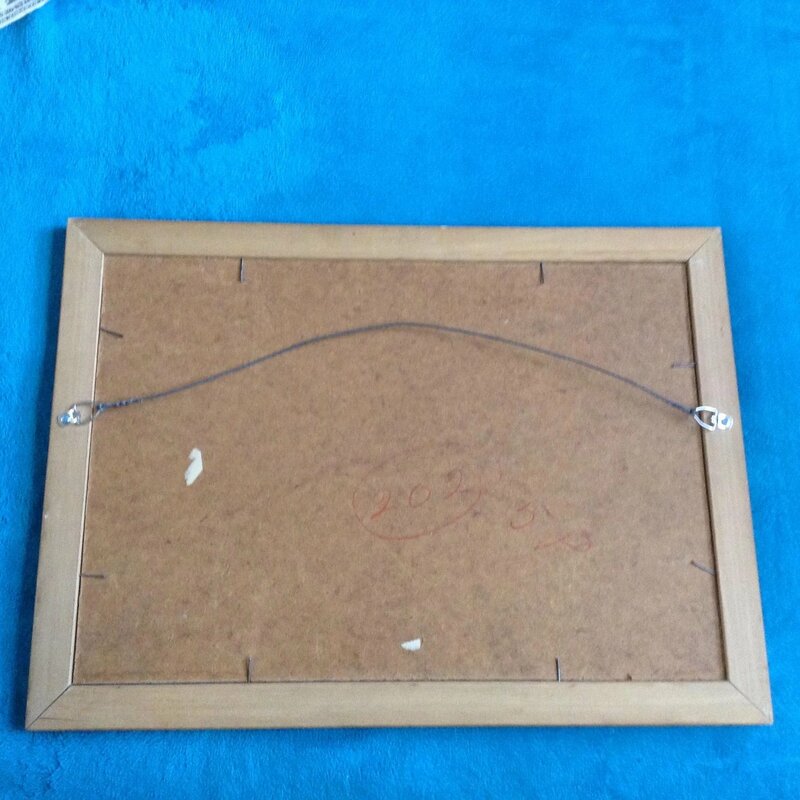 Set in a wood frame that measures 15-1/4 inches tall and 20-7/8 inches wide. 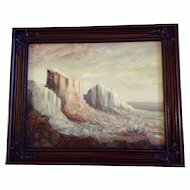 If you would like a new back paper, please let me know and I will have one put on free of charge.